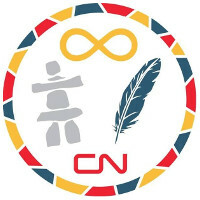 Railroads, Native Americans, First Nations (native Canadians) and other indigenous peoples share a distinction in our culture as having long, storied and impactful histories tied to the creation and modernization of Canada and the United States. These entities and the people associated with them have connected in various ways since the mid-20th Century. The connection between railroads and indigenous peoples continues today and is more important to railroads than ever. When Positive Train Control (PTC) regulations were enacted in 2008 by the U.S. Congress, railroads operating in the U.S. found themselves in a situation whereby the approval of thousands of new communications equipment sites along their respective networks would be subject to review and comment by the over 300 federally recognized tribes, bands and indigenous communities located in the Continental U.S. Subsequently, railroads found themselves working closely with indigenous peoples through an approval process regulated by the United States Federal Communications Commission (FCC). The Tribal Historic Preservation Office (THPO) represented Native American tribes within the PTC approval process. With the looming final federal deadline for PTC implementation set for December 31, 2020, it has become critically important for railroads to connect with tribal communities and work through the process of communications tower reviews in an effective and mutually beneficial manner.